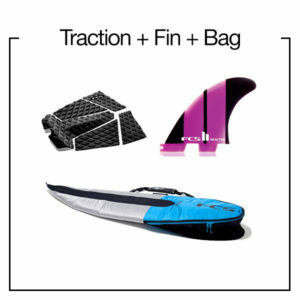 A 5 piece pad design focusing on functionality and performance features. 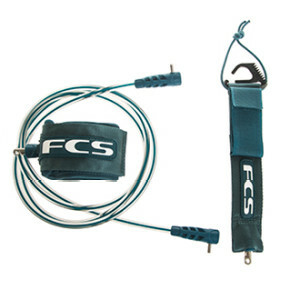 The new FCS Traction range has raised the bar on surfboard traction by focussing 100% on functionality and performance driven features. 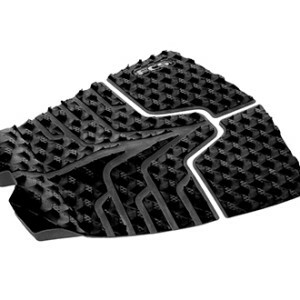 • Tritek groove pattern – Chunkier groove, with three levels of traction to grip onto. Compounded by a dimpled surface to create a tacky feel. 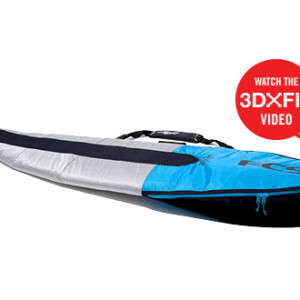 • Multi directional groove patterns – Respond to the different forces generated between the surfer and the board. 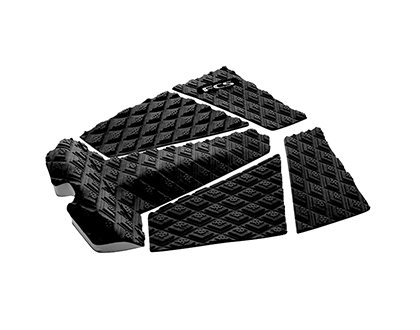 The center and front panels face forward and the side panels direct inwards so that the traction pushes back against your feet in all maneuvers.